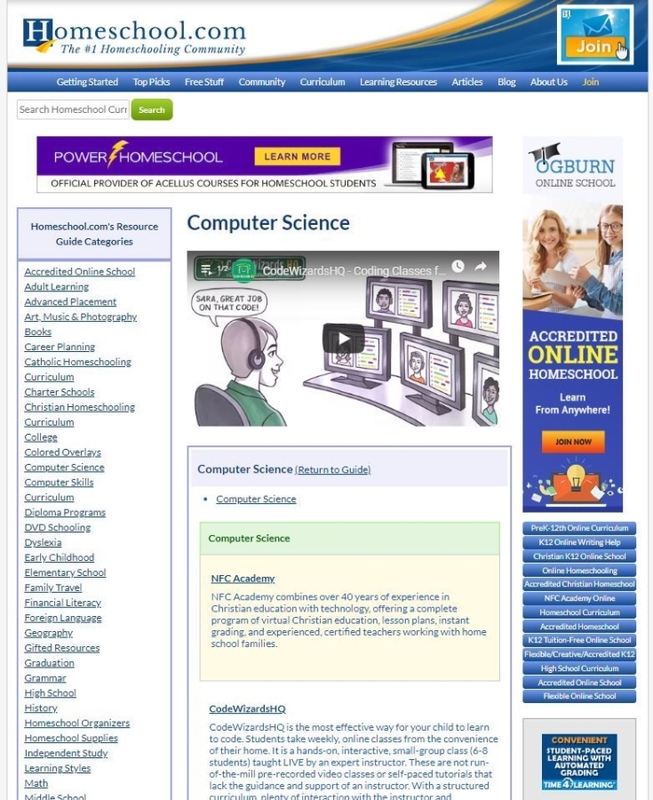 Our resource guide is a handy tool for homeschooling parents searching for the right curriclum. 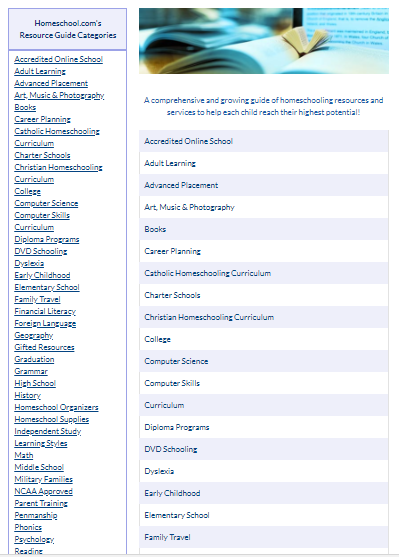 With categories to help homeschoolers narrow their search, you can add your product so that homeschoolers can find you in your niche! Updgrade your listing with a video, top of the page results, and highlighted background. Please submit a title and a description of your product or services with links back to your site. If interested in the video option please submit an embed code for your youtube hosted video.